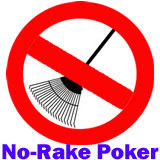 To celebrate their new real-money poker room, BackgammonMasters.com is offering something unheard of in the online gambling world -- no rake poker. For a limited time, the online gaming community will forego their house commission so players can try the new poker room without paying fees. Ever since BackgammonMasters.com launched its unique gaming platform they''ve been gaining huge popularity within the online backgammon community, largely due to the high quality standard of their graphically rich playing environment complete with realistic 3D avatars and sound. “Let''s face it, after a few hours of nonstop backgammon it may be a refreshing break to get your eyes off the checkers and onto a deck of cards,” said the manager of BackgammonMasters.com. “Many champion backgammon players are also skilled in other board games including chess. Real money poker is part of the All-in-One Game Lobby at BackgammonMasters.com alongside immensely popular community games like Backgammon and Perudo, all accessible with one software download. The site gives players the option of communicating directly with each other via real-time chat and has become home to one of the net’s largest community base of players interacting together.